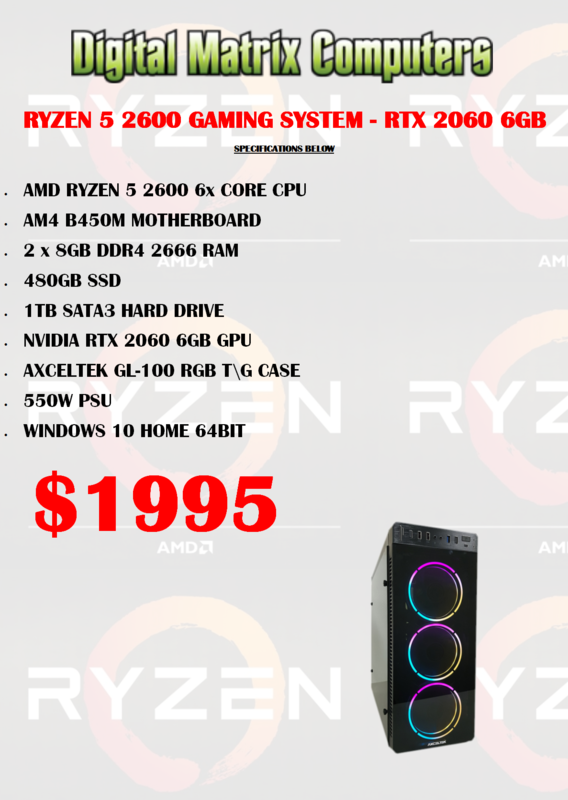 RYZEN 5 2600 GAMING SYSTEM - RTX 2060 6GB. Perfect for over 60FPS Gaming at 1080P/1440P resolution. 6Cores/12Threads CPU & faster ram for smoother performance.